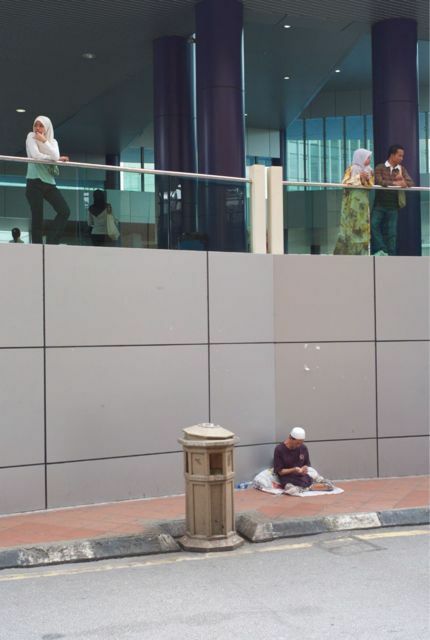 I saw this man sitting on the pavement next to the Masjid Jame LRT Station in KL. 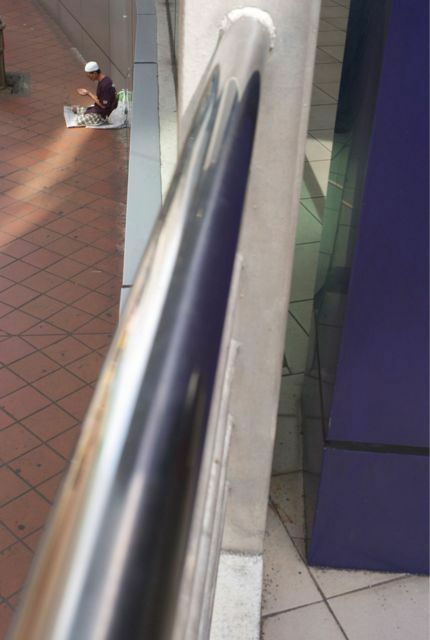 I think I must have stood there observing him for about an hour. 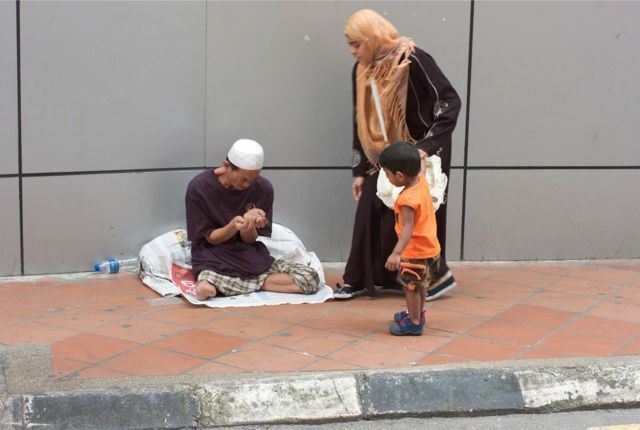 It occurred to me that this man may be, like so many others in KL these days, a professional beggar relying on people’s sense of compassion to make a living. I doubt it though because I could see his legs were not fully formed. I wanted to get in closer to give justice to the 50mm I was carrying but couldn’t quite summon the courage to. 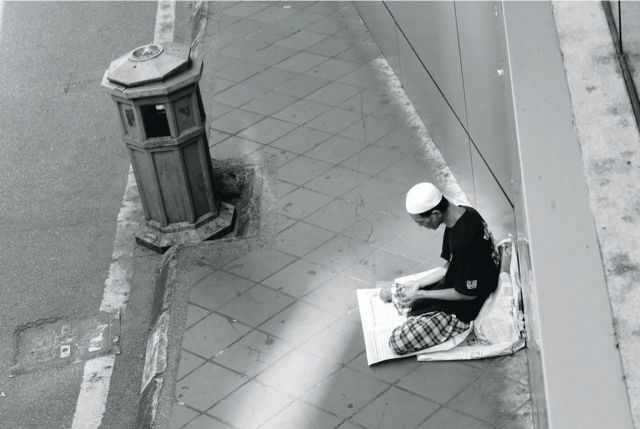 Next time, I must get closer. I thought maybe some of the images I captured were quite good though I am certain as I revisit them that they are not good enough and could have been better. After a long hiatus from writing, I’m finally back and am determined to maintain a semblance of commitment to writing. Life is a little bit more exciting since my latest acquisition. After months of deliberating and anxiety I finally went ahead and got my Leica digital rangefinder, a silver M8.2 and a very nice Leica 35mm f/2.0 pre asphalt Summicron. I knew from the first few pictures I took that I should have done this a long time ago. I also bought the Voigtlander 15mm f/4.5 Super Wide Heliar and the 50mm f/1.2 Notkon (which is still way less than what I paid for the 35mm Summicron). These 3 lenses satisfied 90% of my lens requirements though I am tempted to fill in the other 10% with a longer lens probably a 90mm Summicron. I took the M8.2 out for a spin to take pictures during my cousins wedding. What a difference it makes. I can immediately see that my whole photography has changed and the picture taking experience is so much more satisfying. Though metering is still a bit tough for me (I’m pampered by the whole slew of metering from the Canon EOSes I’ve been using), after awhile I am sure it will come naturally and I can’t wait to use it for an actual assignment. 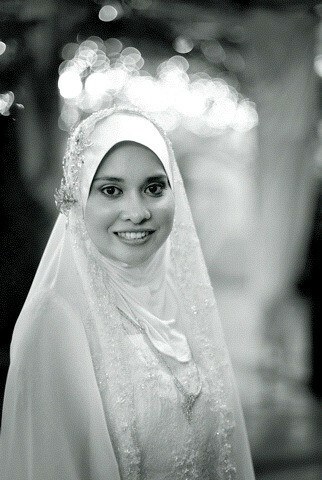 Below is a portrait of my cousin taken during the wedding.